to value every single water drop. Plastic-Puglia offers solutions suitable for irrigating and feeding all horticultural and floricultural cultivations with precision, into open field and greenhouse, arboreal, ornamental green, public and private gardens. 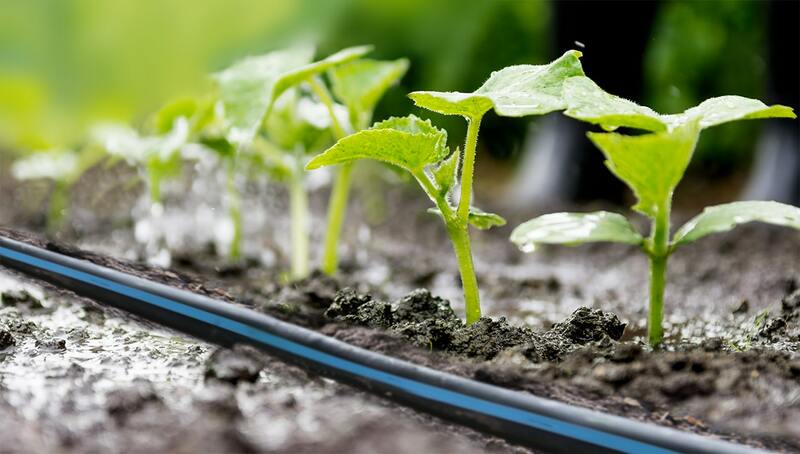 The interconnection between driplines, informatics tools, data-survey stations, field detectors and fertirrigation benches, produces the result of helping man in decision-making processes in a way to better manage each stage of production, increase the yield of the product and save resources. The philosophy of Plastic-Puglia company is ever since oriented to develop projects aimed at environmental sustainability and the equitable distribution of resources. For us, sustainability, technology and business not only co-exist but they are closely interdependent. Plastic-Puglia uses technologies and tools to save energy and water and promotes the correct recovery of the installations when their life-cycle has come to an end.